I love the look of wearing a scarf, but never quite seem to wear it right. I get bored wearing them the same way every time and I knew there were scarf tying tutorials on Pinterest, but I thought they would be too hard. I was wrong. I was getting ready for church on Sunday and now that the temperatures have finally changed I felt like dressing up my sweater a bit. I have way too many scarfs (I inherited about 10 vintage scarfs from my grandmother, and also had some I have purchased). This particular scarf in the picture was given to me by my dear sister many years ago but I have a hard time finding a way to wear it, as it is very large and I am very small. I also don’t like clothing around my neck, so I have found very limited ways of tying a scarf, especially this one. 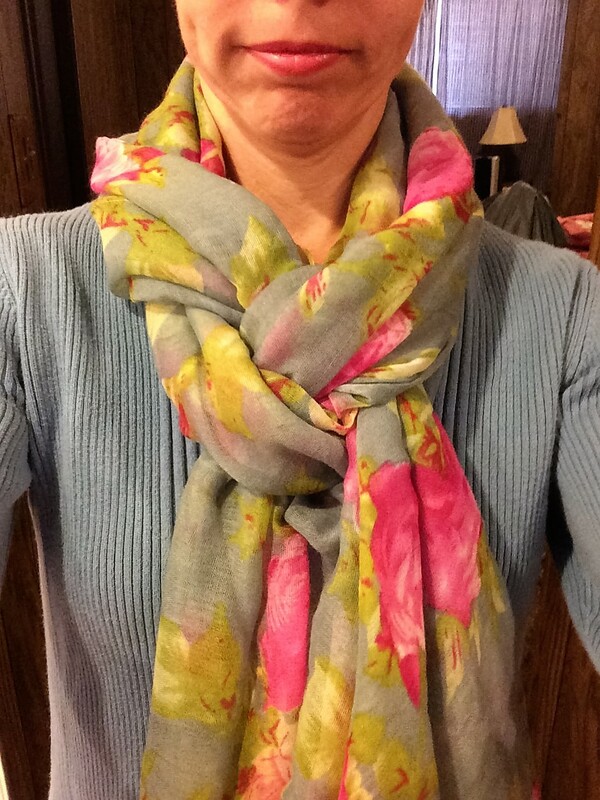 I was determined to wear this beautiful scarf yesterday, so I looked up some options on Pinterest, I found these two sites with very easy explanations. Leberper.com and Thefrugalhomamaker.com. I tried two of the styles that I didn’t think would make me feel claustrophobic. Their picture tutorials were fabulous and so easy to follow. I Ultimately chose the loop-d-loop style for the day. 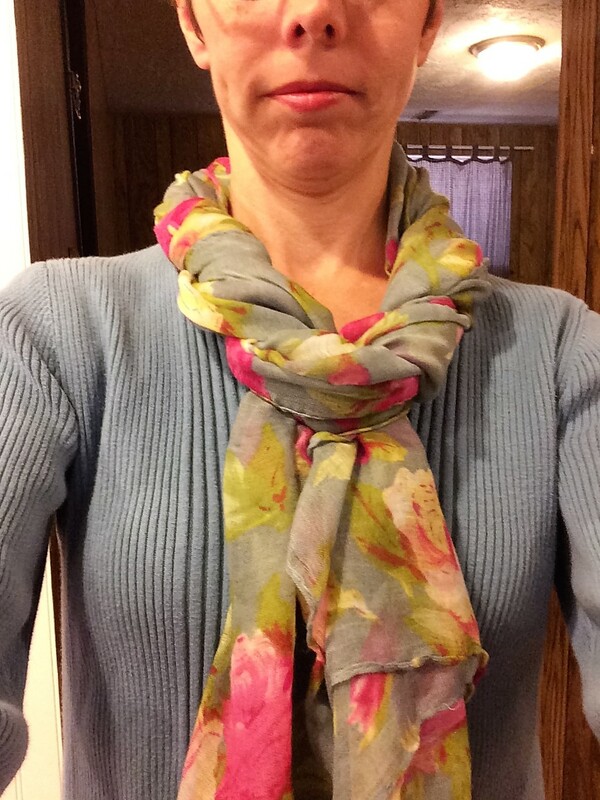 Thanks Leberper and The Frugal Homemaker for dressing up my outfit and helping me wear a favorite scarf. 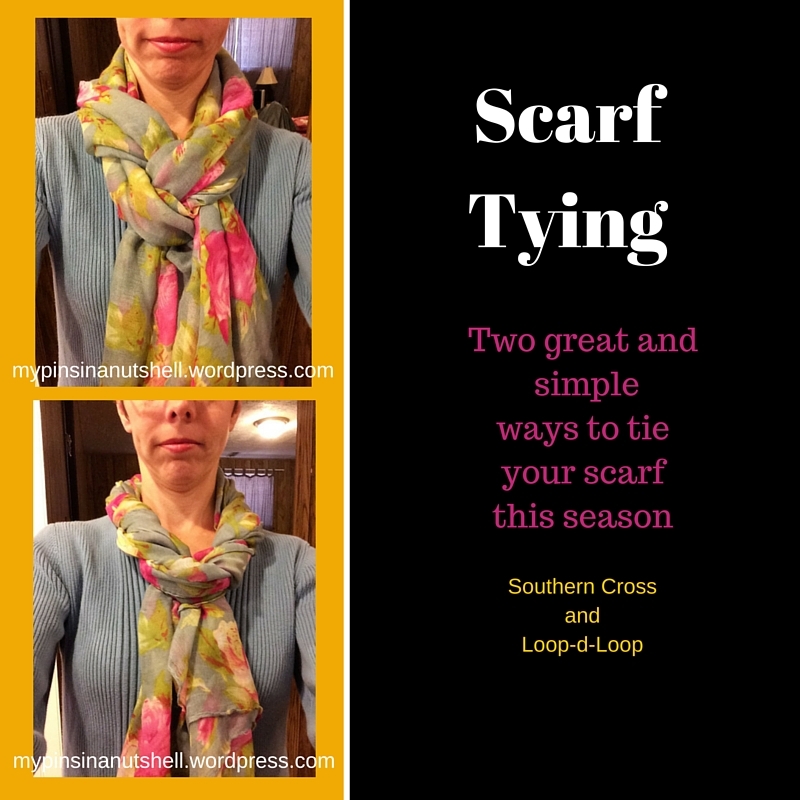 This entry was posted in Style and tagged How to Tie a Scarf, Loop-d-loop, Scarf, Scarf Tying, Southern Cross. Bookmark the permalink.